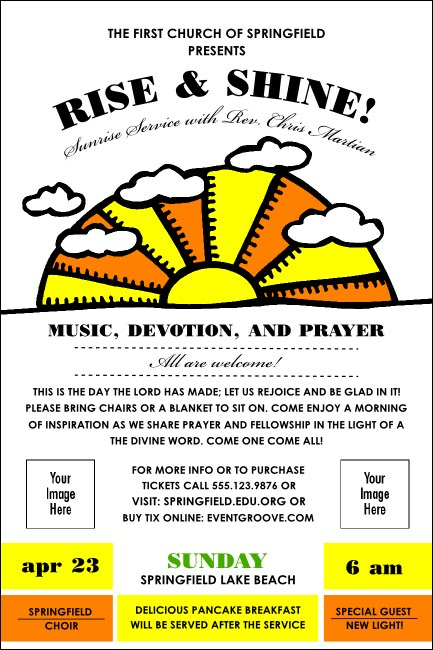 Inspire new members and old friends to attend your inspired upcoming service when you spread the good news with Sunrise Retro Posters. With a casual look to a bright morning scene and room to upload your own images to the template, these heartwarming Posters can help shine the light on your event. TicketPrinting.com will help lead you down the path of great event advertising.